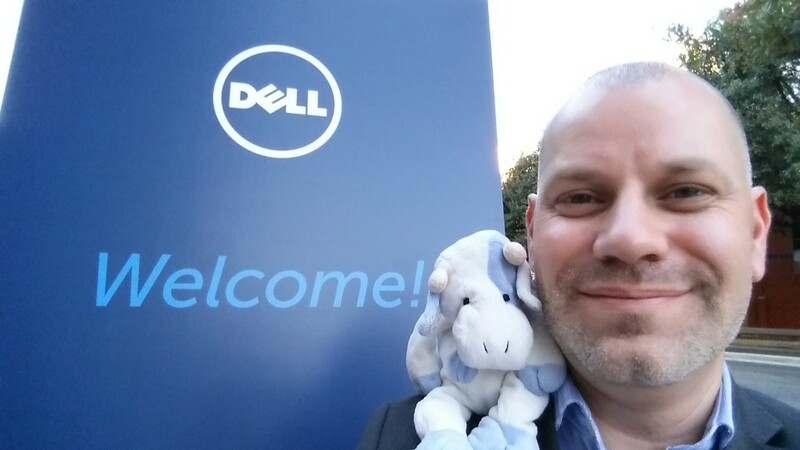 This post is all about the corporate largesse received during Dell World 2015. It’s pretty light on swag, since I really didn’t get any, and my bag on the way home was mercifully light. I attended DellWorld 15 as a guest of Dell, which meant they covered my flights from MEL to AUS, and accommodation at the Hilton Austin downtown, just across from the convention centre. This is the usual hotel Dell use, and I’m pretty familiar with the layout now. It’s very handy being directly across the road from the convention centre. I arrived Monday evening, in time for vBBQ. This was my first year at vBBQ, what with various flight delays in previous years. It was out at Salt Lick BBQ, and was very tasty. We had a selection of brisket, sausage, ribs as well as some sides: smoky-style beans, and a really nice coleslaw. I had a beer and a glass or two of red wine. Thanks to Pure Storage, Caringo, and Dell for feeding and watering us. Thanks also to Sarah Vela for giving several of us a lift to and from vBBQ in true family people-mover style. I had a nightcap with Amy Lewis and a good chat about all things tech marketing, podcasts, and life in general, which Dell paid for thanks to their modest press meals card thingo. Tuesday morning breakfast was hotel #buffetbuffethippo at the Hilton, paid for by Dell. American substance-that-is-almost-but-not-quite-entirely-unlike coffee was as good as is by now expected, but a custom built omelette with chillies more than made up for it. I join others in calling for hotels to provide tortillas at breakfast so we can have migas. Lunch was an average chicken sandwich and a Diet Dr Pepper in the press room while I got a bunch of work done. Kudos to Dell for moving the press room to upstairs at the main end of the conference centre so it doesn’t take 20 minutes to get to an interview and back. Hooray also for bountiful supplies of Diet Dr Pepper. Yum! After the opening press conference there was an ‘influencer’ reception with reasonable wine and nice canapés. I loitered with the other tech blogger/social media reprobates over to one side, gently mocking @stu as he hob-nobbed with C-level suited folks who all know him now. Also fun: seeing Amy Lewis get a selfie with Michael Dell. Dinner was food trucks at the opening reception. I just don’t get it. The food was worse than what I expect to get at fast-food places, and is nothing on the Aussie pie-and-sauce at the footy experience. Wine in a plastic cup is as good as it sounds. John Mayer does a good live show, which I can admire even though I’m not really into his music. Many people were vicariously enjoying his performance through the camera of their fondleslab, despite being physically at the venue. @stu and I discussed the glorious possibilities of NiN performing instead. Midway through a group of us bailed for Moscow Mules in proper copper mugs at a nearby bar that was discovered some years previous by Michael Keen and Bob Plankers. Thanks to Ganesh Padmanaban from Dell for picking up the tab. Wednesday breakfast was skipped due to hitting snooze on my alarm when I should have known better, and then having to rush to make the morning keynote. Technically breakfast was a coffee while waiting for the keynote to start. Lunch was at the press room. Quite decent chicken breast bain-marie stuff and some salad. Dr Pepper for caffeine. Dinner was courtesy of TouchdownPR at one of the hotel restaurants: the Liberty Tavern. I had a beer, and I attempted to go with something starter-sized and ordered the chicken nachos. What arrived was a veritable mountain of corn chips, beans, shredded chicken, and guacamole. It was as big as my head. Chris Mellor from The Register wanted to place bets on whether I could finish the thing. I made it to base camp and started to get light headed, so I abandoned any thoughts of an attempt at the summit. There were sighs of disappointment from around the table. The waiter took some time to come and clear, so I kept making the occasional foray into the nearby foothills. Thankfully they arrived to remove the remains of my mountain range before I did myself an injury. Thursday breakfast was the Dell organised press/influencer tables, where they seat you next to a selected executive or two so you can have an informal chat (supervised by someone from PR, of course). I caught up with Matt Baker (Executive Director of Enterprise Strategy) again, which is always fun. Lunch was the conference boxed lunch. I chose turkey and some jalapeño crisps, and it was pretty tasty. 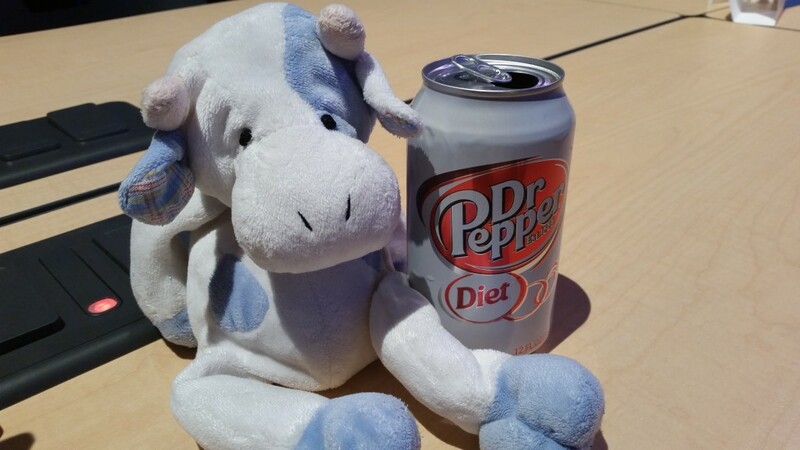 Dr Pepper to drink again. Yum! Just before leaving I caught up with Sarah Vela for a post-conference glass of wine, which was free because we were ignored for about 15 minutes by waitstaff at the Westin front bar. Free wine is best wine. Minimal this trip, mostly because I spent all my time in meetings and very little time on the show floor. A DellWorld 15 branded insulated foldy canvas bag thing for filling out a feedback form after the influencer breakfast. It contained: a brownie, some popcorn (cheese flavoured), some mints, and a Dell branded 2200mAh rectangular USB battery pack of the kind that is now ubiquitous. It has joined my collection of rarely used branded battery packs. Tagged dell, dellworld, disclosure, drpepper.